On the 9th of August, Sony officially announced that they had reached the 500 million mark of PlayStation systems sold. To celebrate they are launching the beautiful system you see below. 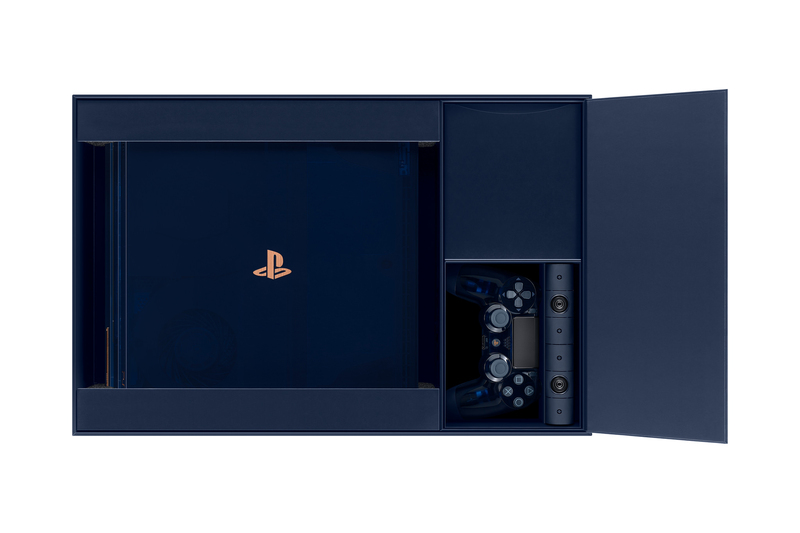 The Translucent Dark Blue console will be available in limited numbers (50,000 to be exact) and will probably the best all-in bundle you can get on a PS4 Pro when it releases. You’ll get the console with a 2 TB hard drive built in, a controller, a PlayStation camera, the stock mono headphone, and a vertical stand. All the accessories included will don a bit of the dark blue theme while the controller itself will also sport the translucent finish. A splash of copper will be added to the consoles logo along with a plaque signaling its production number within the 50,000. Because presentation is extremely important in today’s electronic industry, the unboxing experience will also be quite special. 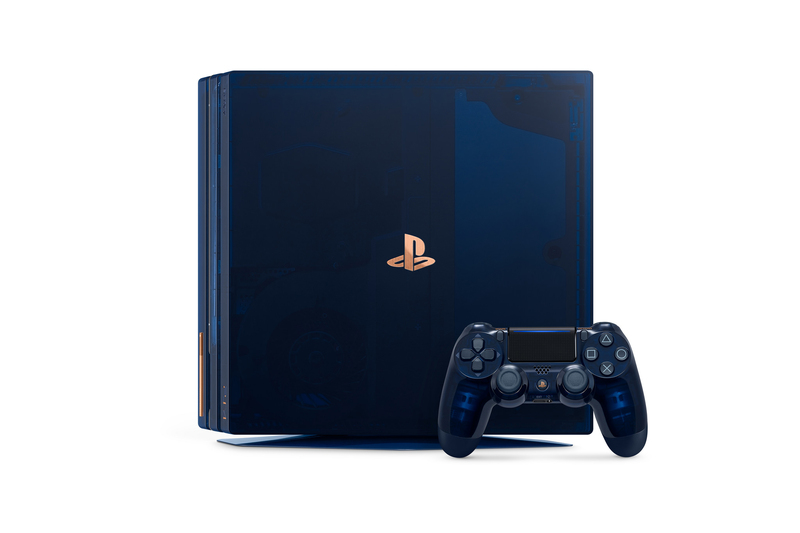 Unlike the PlayStation Pro boxes you get today, this package will also consist of a clear, dark-blue cover that slides away to reveal the gorgeous console. Dozens of media and tech insiders have already opened theirs and the experience is absolutely celebratory of selling 500+ million Playstations. 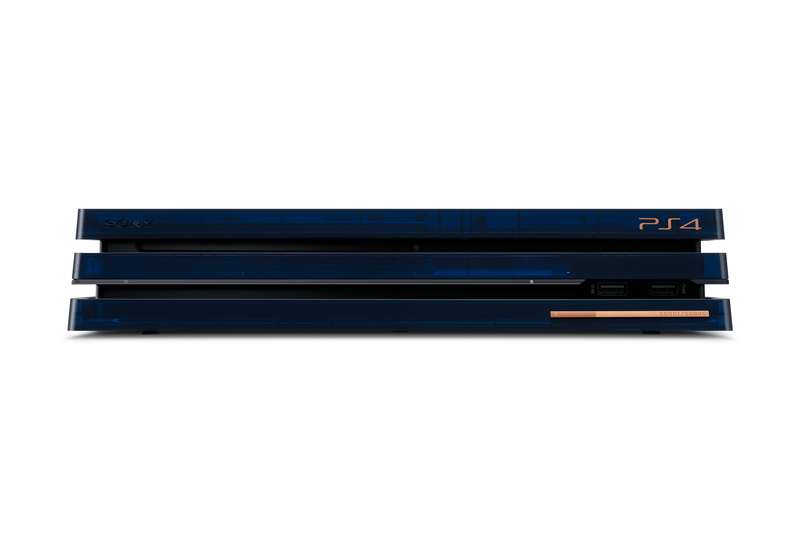 The Limited Edition Translucent Dark Blue console will be available for Purchase on August 24th at a reasonable $500. Other accessories like the Gold Wireless Headset and a-la-carte controller with the translucent finish will be available shortly after. Click the button below to check out where you’ll be able to get one and join the PlayStation community in celebrating 500 of these bad boys being sold.